When I’m in need of heartening, I turn to books. I’ve been so happy this fall to bring to the store several beautiful new books that feel like open arms welcoming and celebrating all of our citizens. Here are a few of my favorites. I hope you’ll share some of yours in the comments. First Laugh—Welcome Baby! by Rose Ann Tahe and Nancy Bo Flood, illustrated by Jonathan Nelson (Charlesbridge). 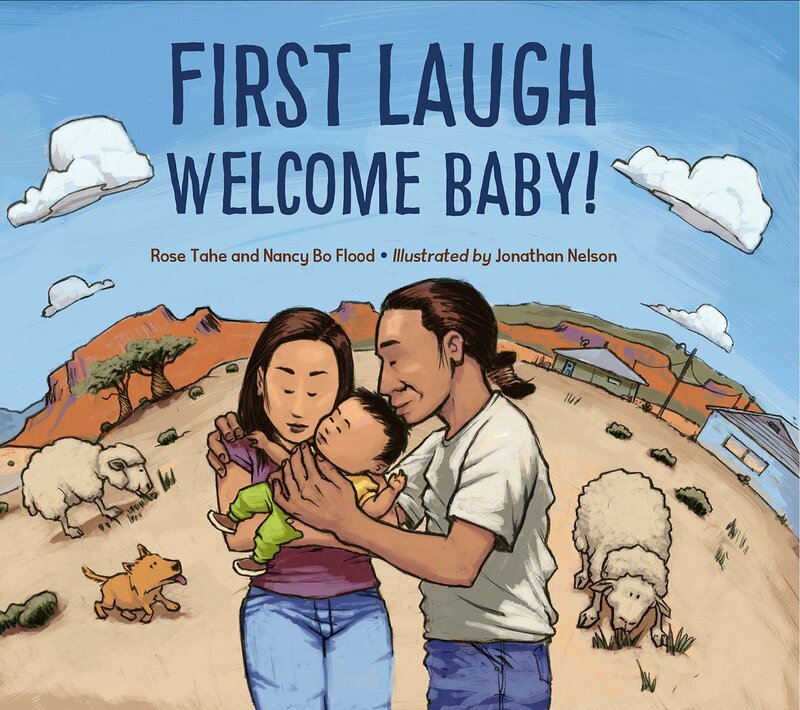 in this bright picture book, Navajo author and artist Tahe and Nelson, together with Flood, share a joyful tradition from the Navajo Nation: the first person to make a baby laugh gets to host the First Laugh Ceremony, a big party welcoming the baby to the community. (Bonus: The book also mentions similar celebrations from other cultures.) What a wonderful tradition! 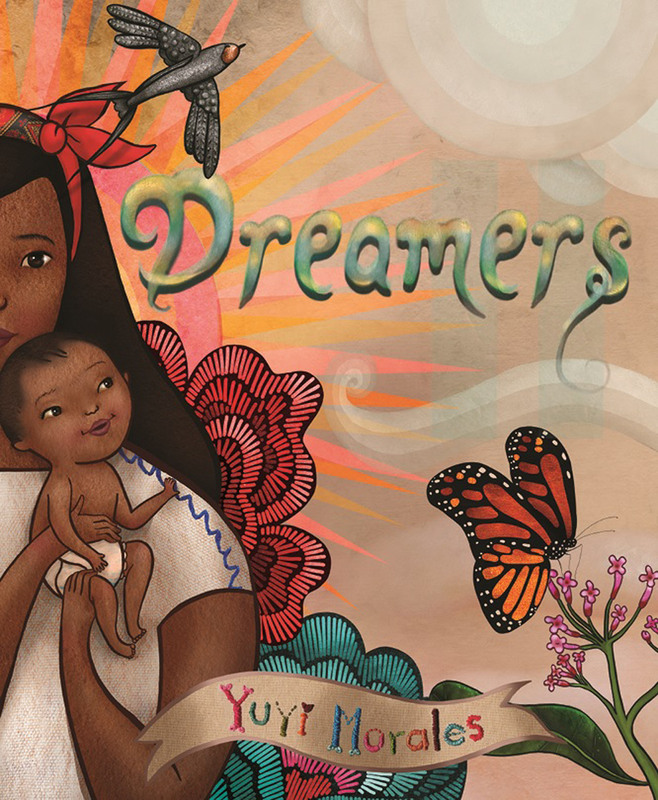 Dreamers by Yuyi Morales (Holiday House/Neal Porter) I wish everyone could have heard Yuyi Morales introduce this book earlier this year at BookExpo; her beautiful words and art about an immigrating mother and child made a roomful of hundreds of booksellers tear up. Dreamers is a glorious answer to anyone who wonders what gifts—and they are legion—newcomers to this country bring with them. 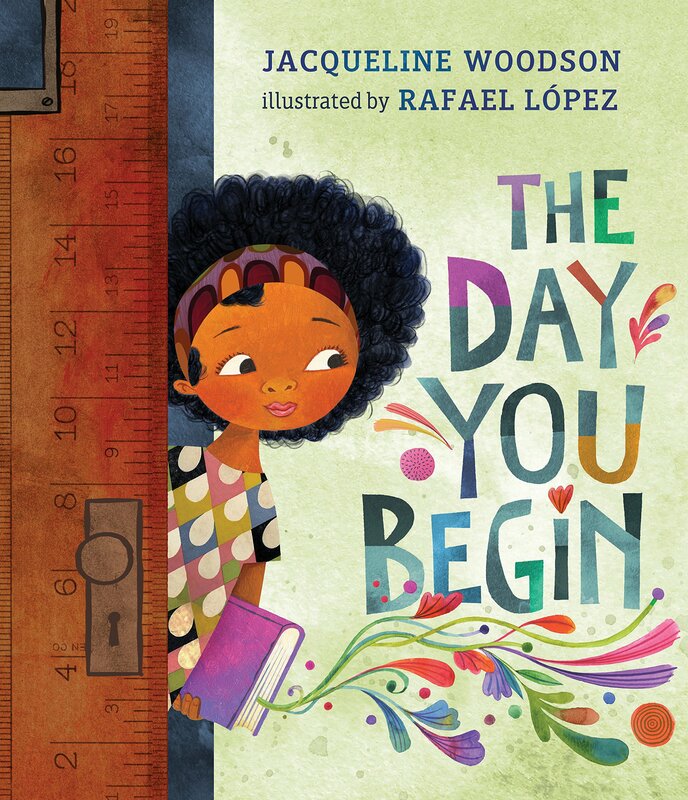 The Day You Begin by Jacqueline Woodson, illustrated by Rafael López (Penguin/Nancy Paulsen) Everything about this book invites empathy. López’s utterly appealing illustrations and Woodson’s poetic, compassionate text illuminate the experiences of any child who has felt (or been treated) like an outsider. One way to begin to belong is to share your unique story—and this book will encourage many children to find their voices. This may be my favorite picture book of the year, and it’s a crowded field, so that’s saying something! Someone New by Anne Sibley O’Brien (Charlesbridge) I love how this book connects with its companion book, I’m New Here, which introduced three children, Maria, Jin, and Fatimah, adjusting to elementary school in the United States after moving from Guatemala, South Korea, and Somalia. Now Someone New shows the experiences of three American children, Jesse, Jason, and Emma, meeting and ultimately welcoming these new students. Both books are sensitive to the variety of feelings children encounter as they navigate new cultures and experiences. 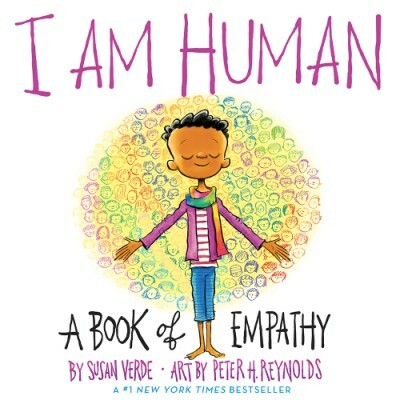 I Am Human: A Book of Empathy by Susan Verde, illustrated by Peter H. Reynolds (Abrams). This first-person account of what it means to be human—the choices we make, the range of emotions we feel—is resonant for all of us. Verde’s text is simple in the best sense: its clarity and thoughtfulness make it an effortless read-aloud. And you’d be hard-pressed to find a warmer artist than Peter Reynolds; his characters, as always, radiate sweet humanity. This will be a BIG book. We Are Grateful Otsaliheliga by Traci Sorell, illustrated by Frané Lessac (Charlesbridge). As Thanksgiving draws near, with its conversations about “the meaning of Thanksgiving,” I can think of no better addition to the discussion than this fabulous paean to gratitude from Cherokee author Sorell, who shares a year full of Cherokee Nation celebrations dedicated to thankfulness. This book moves me greatly; it is a generous-spirited book, and everything about it, from the beautiful Cherokee language and characters to the thoughtfulness that lies behind each celebration, feels like a gift. Lessac’s art is a sprightly contribution to the informative and lyrical text. ShelfTalker readers, have you been discovering more welcoming new picture books? Please share them in the comments! This entry was posted in Uncategorized on October 2, 2018 by Elizabeth Bluemle. Thank you, Elizabeth, and may today be a day of much laughter and friendship! You are the laughter guru indeed.